What is customs brokerage? What does customs brokerage company do? A customs broker, or a company that provides customs brokerage represents you, importers and exporters, in your dealings with the customs authorities. A customs brokerage firm will have experience in international trade. A customs broker handles your shipment from all angles: Representing you towards authorities and customs, filling out relevant forms and submitting them the relevant parties, and handling special demands involving your shipment. Is every product that I import from abroad liable to tax? Not every product bought abroad is liable to customs fees. There are products that according to their customs category, are exempt from customs fees. That’s why it’s important to find out the customs category of the product you’re buying and thereby finding out what the customs fees are for importing that product to Israel. There is merchandise that is exempt from customs fees but are liable to purchase tax. All products that are imported to Israel (there are very few exceptions) are liable to VAT. What is the standard value for paying customs fees? The standard value according to which customs fees are calculated on imports is the value of the merchandise as it appears on the supplier’s invoice+shipping+port tax and all other expenses up until the port of import. I have started to import merchandise from abroad. Which costs are involved? 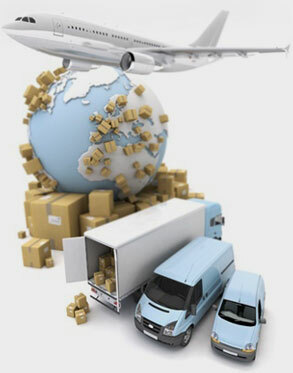 It is customary to differentiate between the costs for global freight and between the costs for taxes and tolls that are transferred to the state and the ports and that are charged by the customs broker (as a messenger of costs), each component according to its own cost, backed up by the necessary documents. As far as the global freight costs are concerned, the first mandatory cost will be for the shipping to Israel, whether it’s by air or by sea. The second cost is for the handling involved in the customs brokerage. In addition to that, there are costs to the ports and delivery orders to the shipping company or the airline. The necessary payments are: Customs fees, purchase tax, fee to the Israeli standards institute, port tax, storage at the port and platform costs. The highest cost is the VAT, which today is 17%, and is expected to rise further. And should you choose to hire the services of a customs broker you will have to pay him as well. Does the customs brokerage company offer insurance or shipping within Israel? Most customs brokers also offer services such as global freight, land freight, sea freight, air freight, packing, storage, insurance and so forth. The advantage with hiring a customs broker is that you can receive solve find a solution to different needs within the same company, needs that arise in the process of import or export, we will always try to match you up with the importer or the exporter according to your own choice. I would like to import a private car by myself from abroad. Do I need to hire the services of a customs broker to do this? Any stage in the process of import or export can be done single-handedly by any person. You do not have to employ a customs broker. Having said that, it’s not recommendable to do it on your own. In most cases it will end up being more expensive, and the chances that mistakes occur on the way are greater and they might be costly. It is advisable to hire a licensed customs broker that is acquainted with the bureaucracy and the relevant regulations in every case. A customs broker will know what it takes to bring you your shipment (in this case a private car for you), speedily and legally and without any damages. In order to import a car, beyond the freight aspect, you need to attain a private import license from the Ministry of Transport before ordering the car. I am sending apartment contents abroad for the sake of relocation; do I need to hire a customs broker? You sure do. Any transfer of shipment, also of private items, need to pass through customs. A customs broker will assist you in shipping the apartment contents and your private items, from the point of packing, sea freight or air freight, insuring your equipment and clearing it in customs. Likewise, there are certain benefits with regards to capacity limits for new immigrants and returning citizens that you may enjoy, and receive advisory assistance for this purpose from a licensed party.